RECAP: Chris Sale strikes out twelve; #RedSox drop Game 1 in Tampa 4-1. The Red Sox played their first game at the Trop this season, which is uncharacteristic of their typical schedules. Chris Sale got the start, matched up against Rays rookie Jacob Faria, who has made a great first impression with five straight quality starts going into tonight to start his career. Sale was not his usual self to say the least, seven hits in seven innings is not like him. Still, the strikeouts were there, twelve total against the Rays, including striking out the side in the first and third innings. The biggest problem Sale had was with the long ball. The Rays took the southpaw deep twice, in the fifth for one run, and in the sixth for two runs. Logan Morrison and Wilson Ramos were the ones who got to Sale the most, Morrison did not record an out against him, and Ramos drove in three runs against him. Blaine Boyer would come in to pitch the eighth, and he pitched a scoreless frame. For Sale, his next start will come in Miami, pitching for the American League in the All-Star Game. It was one hell of a first half, twelve starts with 10 or more strikeouts is something else. Can’t wait to watch how he pitches down the stretch after the break. For the second night in a row, the bats could not push across enough runs to keep the game close. Like I said above, Jacob Faria may be the real deal and the Red Sox could not do much against him. Big scare in the first with Xander Bogaerts getting hit by a pitch in the right hand, later being removed from the game because of it. The only run the Red Sox could muster against the Rays came in the top of the third, when Deven Marrero drove in Tzu-Wei Lin on a sacrifice fly, which gave them a 1-0 lead at the time. They had a good amount of opportunities, but could not do anything with them. Jake Odorizzi is pitching tomorrow, and he owns a 5.19 ERA over his last three starts, so the Red Sox should have a good chance to snap out of this two-game rut. Drew Pomeranz is on the mound tomorrow as well, had a great start last time out int Toronto, could lower that ERA some more in St. Pete. 49 down, ? to go. Author Brendan CampbellPosted on July 6, 2017 Categories Baseball, Sports, UncategorizedTags Baseball, boston, mlb, rays, red sox, tampa bay, thursdayLeave a comment on RECAP: Chris Sale strikes out twelve; #RedSox drop Game 1 in Tampa 4-1. RECAP: Xander Bogaerts makes final case for All-Star selection; #RedSox drop finale in Texas 8-2. Well, that’s one way to end a winning streak. Doug Fister, who was more than likely making his last start for the Red sox for the forseeable future, had his worst start of his short season. The 33 year-old failed to finish the fourth inning while allowing nine total to reach base. The Rangers scored six times off of Fister, four of those runs being earned. Despite having a great first inning, Fister could not avoid the long ball, giving up a two-run shot in the second and then a solo shot in the third. After loading the bases with no outs, Fister gave up three more runs while getting two outs before Robby Scott would come in as relief. Scott had his second off night in a row, hitting two batters in a row at one point and allowing two runs to score while pitching one and one thirds innings on Wednesday. Fernando Abad, Heath Hembree, and Matt Barnes would finish things up for the pitching staff, each throwing a scoreless inning. In his three starts with the Red Sox, Fister has been okay, but he has also gotten progressively worse. With that in mind, I am interested to see what he can provide out of the bullpen and what Eduardo Rodriguez can do in Fister’s spot after the All-Star break. The bats could barely do anything off of Andrew Cashner Wednesday night. Their first hit of the game took until the sixth to happen. In his last game before final voting ends, Xander Bogaerts made a lasting impression by mashing his sixth home run of the season, which cut the Rangers lead to six. Surprisingly, the Rangers bullpen needed to pitch two innings to get the win, but the Red Sox could get nothing off of either pitcher. When Tzu-Wei Lin can’t reach base, you know it’s not gonna be your night. Chris Sale makes the start later today against a team that can hit it out of the park. Last series before the break, good time to build up that division lead. Vote for Xander! 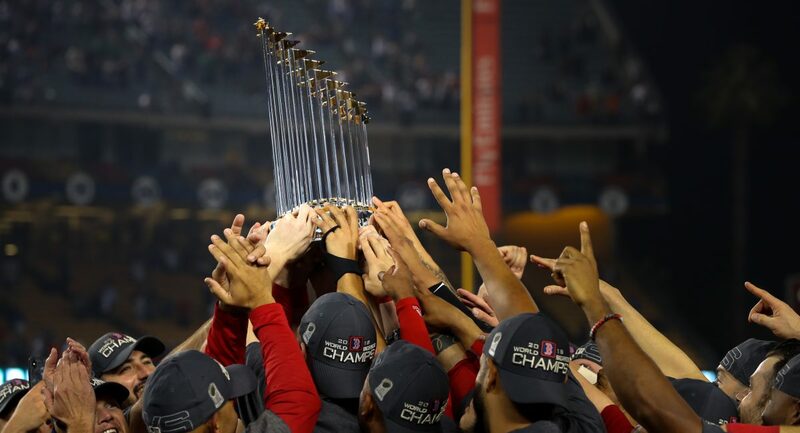 Author Brendan CampbellPosted on July 6, 2017 Categories Baseball, Sports, UncategorizedTags Baseball, boston, mlb, rangers, red sox, texas, wednesdayLeave a comment on RECAP: Xander Bogaerts makes final case for All-Star selection; #RedSox drop finale in Texas 8-2. RECAP: Andrew Benintendi has career day as #RedSox take Game 2 from Rangers 11-4.
not pitching all that well. The Rangers scored three times off of Boyer, all in the eighth, and all those runs were driven in on a three-run bomb off the bat of Mike Napoli. Robby Scott would come in to pitch the ninth and end the game, but not before giving up a solo home run to Delino DeShields. Like I said, surprising stuff from Price, it looks like he’ll make his next start in Tampa on Sunday, the last game before the All-Star break. The bottom half of yesterday’s lineup was responsible for most of the offensive production. The 5-9 hitters, Ramirez, Benintendi, Vazquez, and Lin went a combined 16 for 24 at the plate, scoring 9 times and driving in 10 runs. The biggest star though, is obviously Andrew Benintendi. All the talk about Cody Bellinger and Aaron Judge, but you can’t knock what this Red Sox rookie has done in his first full season. 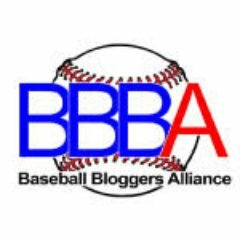 Last night, Benintendi did not record an out, reaching base all five times he was up. He nearly hit for the cycle too, but hit his second home run of the game instead. Going back to Monday night’s game, Benintendi has driven in eight runs in his last six at-bats. He also made one heck of a catch too in the fourth, robbing Mike Napoli of an extra base hit and potentially an RBI. How about the other rookie who has come out of nowhere, Tzu-Wei Lin? 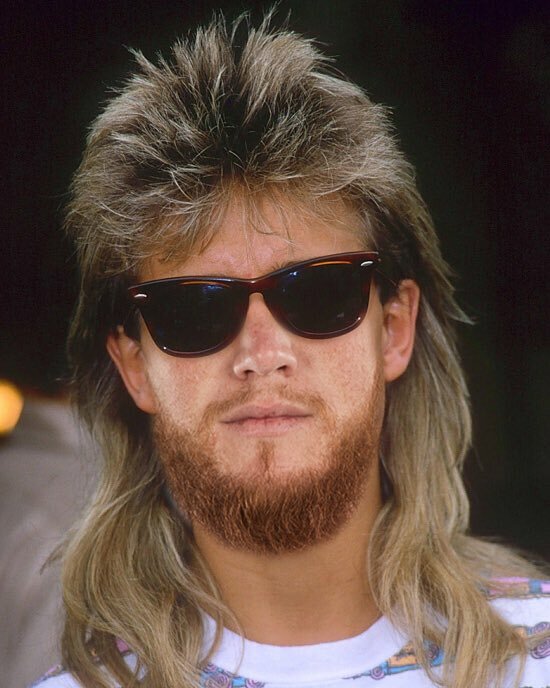 A 23 year-old infielder in Portland surprisingly gets called up about a week and a half ago and he can do no wrong. His second three-hit game last night puts his OPS at .949, meanwhile Pablo Sandoval’s career OPS with the Red Sox is only at .646, makes you think. Almost forgot to mention that Jackie Bradley Jr. hit his eleventh home run of the season last night as well while raising his BA to .284 on the season, a nice turnaround for sure. Doug Fister makes his third start for the Red Sox today in the series finale. It could be his last start for a while if Eduardo Rodriguez comes back and pitches like he did before he got hurt. Author Brendan CampbellPosted on July 5, 2017 Categories Baseball, Sports, UncategorizedTags Baseball, boston, mlb, rangers, red sox, texas, tuesdayLeave a comment on RECAP: Andrew Benintendi has career day as #RedSox take Game 2 from Rangers 11-4. RECAP: Drew Pomeranz tosses quality start; Mookie Betts drives in EIGHT runs as #RedSox sweep Jays with 15-1 win. For the first time since 2011, the Boston Red Sox have swept the Toronto Blue Jays. Drew Pomeranz has become a reliable guy in the rotation, which seemed unlikely two months ago. The southpaw has gone at least 6 innings in three of his last four starts, as he has lowered his ERA from 4,48 to 3.64 over that span. In the six innings he pitched on Sunday, Pomeranz consistently got out of any jam he was in, allowing seven total base runners. The only run he gave up came in the second, when Justin Smoak scored on a sac fly. So, when the only run you allow doesn’t even come on a hit, that’s a pretty solid outing. Since he had already thrown more than 100 pitched by the time he ended the sixth, Fernando Abad came on in relief. Abad notched his first save of the season, pitching three no-hit scoreless innings. Ever since Pomeranz got chewed out by Manager John, he arguably has been the second best starter behind Sale. He’ll make his next start on Friday in Tampa against a surprisingly kinda good Rays team. Mookie Betts, Mookie Betts, Mookie Betts. That’s who sticks out most after today’s blowout. The now 2x All-Star reached recorded four hits, including two home runs. With all those hits and dingers, Betts drove in a total of eight runs. That’s more runs than the Blue Jays scored this entire series (6). Despite Mookie’s day at the plate, the Red Sox still scored 9 more runs. Every starter except Christian Vazquez got on base two or more times. Hanley Ramirez stayed hot by extending his hitting streak to seven, as the DH blasted his twelfth home run of the season in the seventh, a two-run shot. That homer was part of a very long seventh inning, as eight runners crossed the plate which gave the Red Sox a 15-1 lead. A few surprises today were the days Tzu-Wei Lin and Deven Marrero had. Marrero wasn’t even supposed to start but Xander Bogaerts got scratched from the lineup late. Lin and Marrero went a combined 6-10 with 2 RBIs and 5 Runs Scored. Since he was called up last week, Lin has already hit more triples (2) than Pablo Sandoval has in his three years with the club (1). The 23 year-old also already has a positive WAR with the Red Sox, while Sandoval’s is currently sitting below zero while a member of the team. Jackie Bradley Jr. continues to hit well, raising his BA to .284 with a three hit performance Sunday. Overall, hell of a day for these bats. 17 runs on 21 hits is insane stuff, that seventh inning alone was great. They pretty much put the final nail in the coffin for the 2017 Blue Jays, which is reassuring. Four wins in a row, the Yankees keep losing, twelve games over .500, undefeated in the second half of the season, things are looking up! 47 down, ? to go. Author Brendan CampbellPosted on July 2, 2017 Categories Baseball, Sports, UncategorizedTags Baseball, blue jays, boston, mlb, red sox, sunday, torontoLeave a comment on RECAP: Drew Pomeranz tosses quality start; Mookie Betts drives in EIGHT runs as #RedSox sweep Jays with 15-1 win. RECAP: Chris Sale owns the city of Toronto; #RedSox guarantee series win with 7-1 victory. Remember back in April, when the Red Sox made their first trip to Toronto and Chris Sale threw eight shutout innings? Well, it looks like Toronto has a Chris Sale problem, because Sale has yet to give up a single run north of the border this season. On Saturday, Sale pitched seven innings, allowed seven Blue Jays to reach base, and struck out eleven, yet another double-digit strikeout game. If you look at his numbers when he has pitched in Toronto this season, then you’ll see that he has struck out 24 over 15 IP, a resounding 14.4 K/9. There is no doubt that he is the ace, the guy who would get the ball for an important playoff game, not the guy who is getting paid $31 million dollars per year and can’t handle the media here. When Sale left after the seventh, there was really no pressure on the bullpen since they had a comfortable lead to work with. Blaine Boyer pitched a scoreless eighth, and Robby Scott gave up a solo home run while finishing things up in the ninth. Offensively, scoring seven runs in back-to-back games looks pretty good. Hanley Ramirez, Chris Young, Sandy Leon, and Deven Marrero all had multi-hit games. Jackie Bradley Jr. drove in the first runs of the game, scoring Mookie Betts and Hanley on an RBI double in the first. Dustin Pedroia drove in another pair of runs in the second on another double, scoring Deven Marrero and Mookie Betts this time around. In the fifth, Mookie Betts scored again on a Xander Bogaerts sac fly. Bogaerts would also drive in the last runs of the game in the ninth, scoring Sandy Leon and Deven Marrero on an RBI single. Looking at the box score, it’s funny to see how Mookie Betts scored three runs without recording a single hit, which does not happen often. It looks like Hanley Ramirez has awoken from his first half slumber. On June 21st, Hanley was batting .239, after today’s game, it’s all the way up to .252. He hit 22 home runs after the All-Star break last season, and it looks like something similar to that could happen this season. Three wins in a row, season-best eleven games over .500, could end the first half of the season on a hot streak. Drew Pomeranz makes the start for the finale tomorrow, then it’s on to Arlington to face the Rangers. 46 down, ? to go. Author Brendan CampbellPosted on July 1, 2017 Categories Baseball, Sports, UncategorizedTags Baseball, blue jays, boston, candada, mlb, red sox, saturday, torontoLeave a comment on RECAP: Chris Sale owns the city of Toronto; #RedSox guarantee series win with 7-1 victory. RECAP: Doug Fister has another nice start as #RedSox take game one from Jays 7-4 in extras. After a quality start last Sunday, Doug Fister made his first road start for the Red Sox, and he put together another solid outing. The Blue Jays scored all their runs off of Fister in the first, but Fister settled in after that. The 33 year-old only allowed two hits total after the first, finishing with a line of 5 IP, 4 H, 3 ER, 3 BB, and 5 K’s. He didn’t qualify for a quality start since he didn’t pitch six innings, but I’d be dumb to criticize that kind of start from a back-end of the rotation guy. The bullpen pretty much held the Jays in check over the last six innings after Fister departed, as the only real blip was Troy Tulowitzki’s solo home run off of Heath Hembree in the sixth, which tied the game at that point. Other than that though, Matt Barnes looked great with his two shutout innings, Blaine Boyer arguably had his best relief appearance in a Red Sox uniform with his two shutout innings, and Craig Kimbrel did what Craig Kimbrel does by recording his 23rd save of the season by pitching a scoreless frame in the eleventh. Like I said, Hembree made a bad pitch to Tulo, but the bullpen kept the Red Sox in the game, which eventually led to an offensive burst in the eleventh. Despite the win, the Red Sox bats left a lot to be desired when it came to scoring opportunities. They left a total of 41 runners on base, including 11 alone from Mitch Moreland, who had himself an awful night at the plate. The first runs of the game were scored by Deven Marrero and Mookie Betts, who scored on a Dustin Pedroia double, making it a one run game. The Red Sox would take the lead briefly in the sixth, when Deven Marrero drove in the tying run on a RBI single and Andrew Benintendi scored the go-ahead run with an RBI double. The bats would go silent until the top of the eleventh, until Xander Bogaerts came up clutch with a key RBI single that scored Hanley Ramirez from third and gave the Red Sox the lead. Deven Marrero would continue on the good day he had at the plate by driving in key insurance runs on another RBI single, and that was all Craig Kimbrel needed to shut the lights off on the Blue Jays. Good way to start the road trip, obviously. Chris Sale is on the mound today, John Farrell will not be managing today, Red Sox should win their third straight game today. Ten games over .500 for the first time this season, also. 45 down, ? to go. Author Brendan CampbellPosted on July 1, 2017 Categories Baseball, Sports, UncategorizedTags Baseball, blue jays, boston, friday, mlb, red sox, torontoLeave a comment on RECAP: Doug Fister has another nice start as #RedSox take game one from Jays 7-4 in extras. Here’s who I have in this year’s #ASG on the National League side. Yesterday, I gave my picks for who I think will be an American League All-Star. Today, I’ll list who I think should represent the National League in this year’s Midsummer Classic in Miami. As I did yesterday, I’ll construct the rosters like the way they were in 2016. Author Brendan CampbellPosted on June 30, 2017 Categories Baseball, Sports, UncategorizedTags all star game, Baseball, miami, mlbLeave a comment on Here’s who I have in this year’s #ASG on the National League side.